Smart-but-ineffectual journalist Dan "We use euphemisms!" cannot decide between his girlfriend, loving-but-clingy waitress Alice, or his lover cold-but-intellectual photographer Anna; herself indecisive between Dan and honest-but-thuggish "You're bloody gorgeous!" doctor Larry. 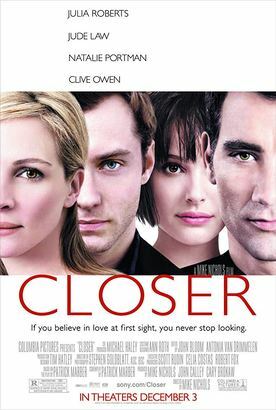 The film puts the four leading characters in a box and strips them apart.